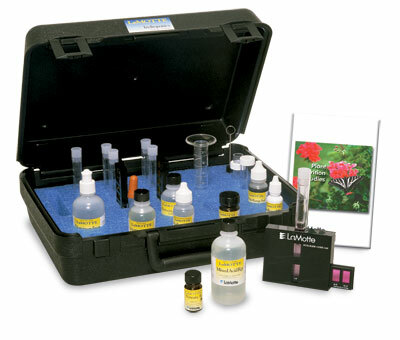 The Lamotte hydroponics 4-way kit offers tests for pH and three key nutrient factors: nitrogen, phosphorus and potassium. It allows the hydroponics grower to maintain proper nutrient balance and to achieve optimum growing conditions in soil-less cultures. 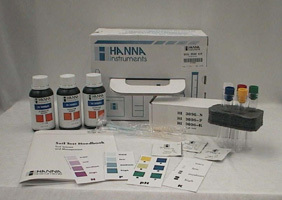 Contains reagents sufficient for 50 tests per factor with complete labware. Instructions and 75-page hydroponics handbook are supplied. For detailed information please follow this product link to the Lamotte website.